Australia’s largest booze trade event has got a new frock, and she’s looking pretty good in it to boot. Each year, the publishers of Bartender Magazine put on an industry event to showcase the products and people that make hospitality all that it is in Australia. This year it’s bigger, better and for the first time, open to the public. You’ll be able to attend the show, under this year’s swish moniker, Drinks Fest. Once there you’ll have the chance to taste and learn about all things liquid and intoxicating. I’m more excited than Tim Philips in the children’s section at Zara. The main event will be held at the Overseas Passenger Terminal in the Rocks, instead of the weird trade halls at Moore Park. For the first time, one of the days of the show (Sunday the 23rd September) will be open to the general public. This means an opportunity to learn about, and taste some great products and buy at a discount too. The involvement for the general public doesn’t stop there. If you can bear the company of Alex Adams and Simon McGoram for an evening, Ketel One bar tours are a great way to learn about the small bars festooning Sydney’s inebriated underbelly, and that’s just the beginning. There’s the usual fantasticness of events, dinners, breakfasts, balls and bar awards dinners. Tim Philips is bringing his throne to the dinner. Check out the website and get yourself some tickets. It is a really great way to get across the Australian industry in the work of but a moment. After 10 years of running the country’s most successful trade-only event for the bar industry, Sydney Bar Week (barweek.com.au) has now expanded to include a line-up of events to cater to consumers who are passionate about bar culture as well as the bar industry’s dedicated professionals. Sydney Bar Week promises a stellar line-up of events involving bars, brands and bar professionals to help ensure that this week is unforgettable. Sydney Bar Week’s flagship event is the Drinks Fest which will be staged at the Overseas Passenger Terminal in The Rocks on Sunday, 23 September (open to the General Public, tickets $25) and Monday, 24 September (open to Trade only, tickets from $30). Drinks Fest will feature the latest brands on the market from ciders to beers and of course, all the latest cocktail ingredients from spirits to syrups. Not only will there be hundreds of brands on show but there will also be a bumper selection of seminars from an early morning ‘Tiki Safari’ to a class called ‘Hands On Mixology’. And of course, Sydney Bar Week would not be complete without the Dinners, Tours & Parties! What better way to celebrate Sydney’s vibrant bar culture than with Ketel One’s CBD Speakeasy Bar Tour where an expert host will squire you from one small bar to the next. Or perhaps you would prefer a night of New York brasserie style entertainment at The Morrison to kick start your Sydney Bar Week festivities. From sailing on Sydney harbour to sunset BBQs, there is something in the Bar Week timetable to wet everyone’s whistle. To wrap up Sydney Bar Week, Australian Bartender magazine will once again host the annual Bar Awards, the Oscars of the bar industry and the most anticipated night in the bar industry calendar. The Bar Awards will once again be held at Doltone House, set against the Jones Bay Wharf backdrop, and more than 600 of Australia’s finest bar professionals will be congratulated for another stellar year of service. Awards include Bar of the Year, Small Bar of the Year, Best Drinks Selection and the most coveted title, Bartender of the Year, among others. 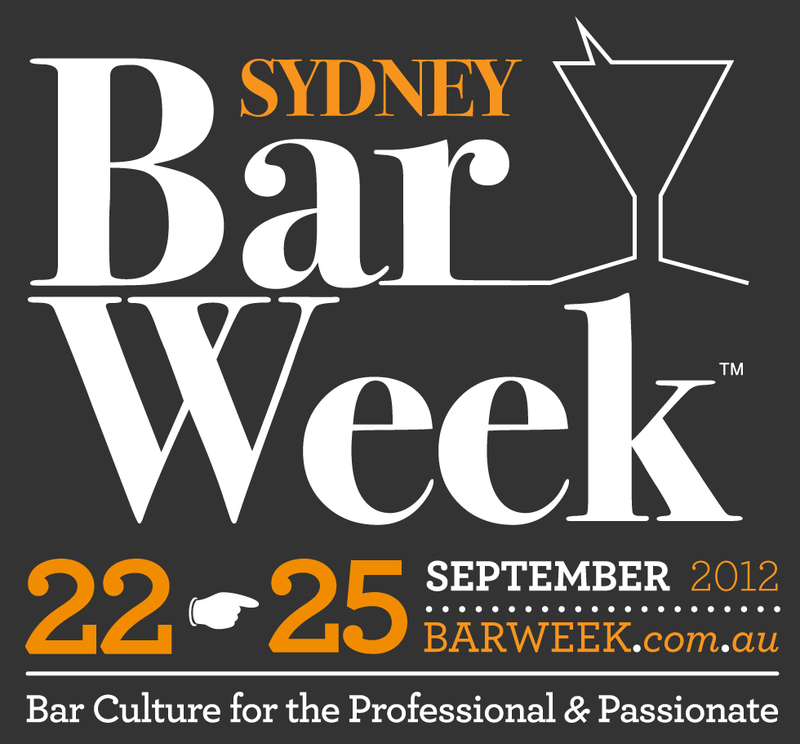 So mark your diaries: Sydney Bar Week will run from 22 to 25 September, 2012. ← You could not have it more wrong.